Good day! 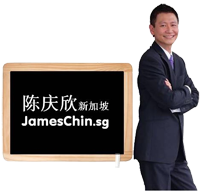 Welcome to JamesChin.SG Innovation and Change website! Although it’s well known to everyone that change is the only ways to maintain organization competitive advantages and sustain its development, however, organization leaders are still struggled to figure out new strategies to increase market, economy, policy and technology competitive advantages, as well as in dealing with other challenges due to the environmental factors. Concerns such as how to implement change effectively? How to adjust people’s psychology and behavior during change? More importantly, how to assist employee to adapt change and improve team’s morale, cohesive force and maintain positive and constructive during the midst of change, hence able to move forward quickly? I have met with many organization leaders and managers who encounter tremendous setbacks and frustration during the progress of change due to lack of good understanding of effective change management. They encounter issues and challenges such as resistance from employee, loa team morale, drop of execution performance, organization face unnecessary lost etc. I hope my sharing in this website will bring you an essential concept about innovation and change, especially for those friends who are going to develop innovation and change or have embarked onto organization change journey. May we help you to be more happy, and reach the other shore in a quicker, easier and more effective manners. May you have a happy web tour and a wonderful day! Copyright @ 2010-2017 James Chin Khing Shium. All Rights Reserved.